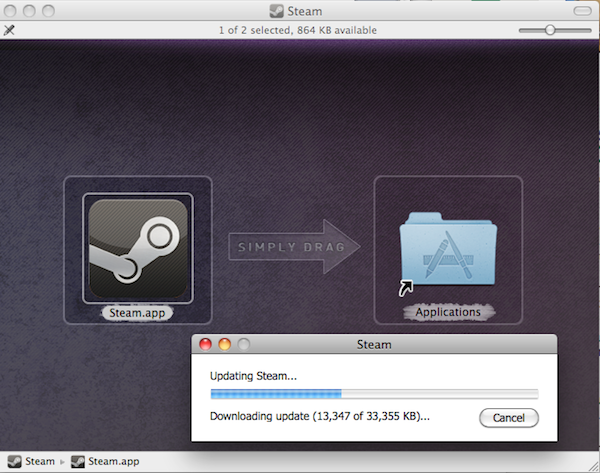 Download Steam for Mac Client Now!! Download Steam for Mac Client Now- Get Portal for Free Until May 24th!! Valve announced yesterday that the Steam for Mac client would be released today. While there is no official word on the Valve website or an official download link posted, we have discovered that there is a direct download link available that will let you grab the public Steam.dmg client right now!! Thanks to @SwaroopH for the tip. However, while you can get your hands on the client, it is still officially in closed beta until later today when Valve makes the official launch. This means you will have to sign in with a closed beta ID until then. Update: Our friends at Gizmodo have figured out a trick to start playing right away even if you do not have access to the closed beta. 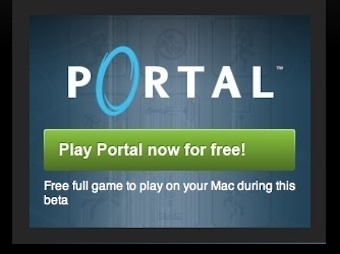 Once you have installed the Steam for Mac client you can head over to the Mac Beta page. Click the “Play Portal now for free” link in the add shown below. Tell it to open the link using the Steam client you have just installed and the download will begin. You can also browse other games by simply clicking the Update News button in the “Updating Portal” dialogue box. 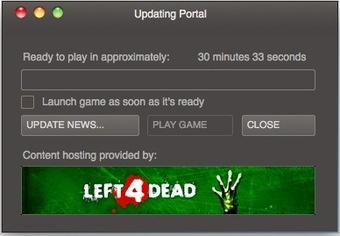 4 Responses to Download Steam for Mac Client Now- Get Portal for Free Until May 24th!! Pingback: Play Team Fortress 2 for Mac on Steam for Free!